This year’s convention is being held from July 26-29th in Orlando, Florida. We ask that all NYCKI members interested in attending fill out this form so we can help you plan for your trip! WHAT DOES YOUR REGISTRATION COVER? *Please note souvenirs and conference materials will be distributed as supplies last. All registrations must be completed online using the registration link provided. To register you will need the following: 1. The email listed in your member profile. If you’re unsure which email is listed in your profile, contact your club secretary. 2. A credit card for payment. You must have a credit card available at the time of registration. You will not be able to complete the registration process without submitting payment via credit card. If you encounter any difficulties during the registration process, please contact Member Services at Kiwanis International via telephone +1-800-549-2647 ext 411 (in the US and Canada) or +1-317-875-8755 ext 411 (outside the US or Canada). Member Services is available to assist Monday through Friday from 8:45 am – 4:45 pm Eastern. Join us for a pre-convention recruitment training with The Social Excellence Project. Learn best practice, tips, and tricks to grow your club. The event is free to all members attending CKIx19 and will take place from 1-5 PM Wednesday afternoon. For questions, contact Samantha Wagner. Interested in actively leading a team of peers during service projects, fellowship activities and fostering a great experience at CKIx this year? Apply for a Team Leader position! 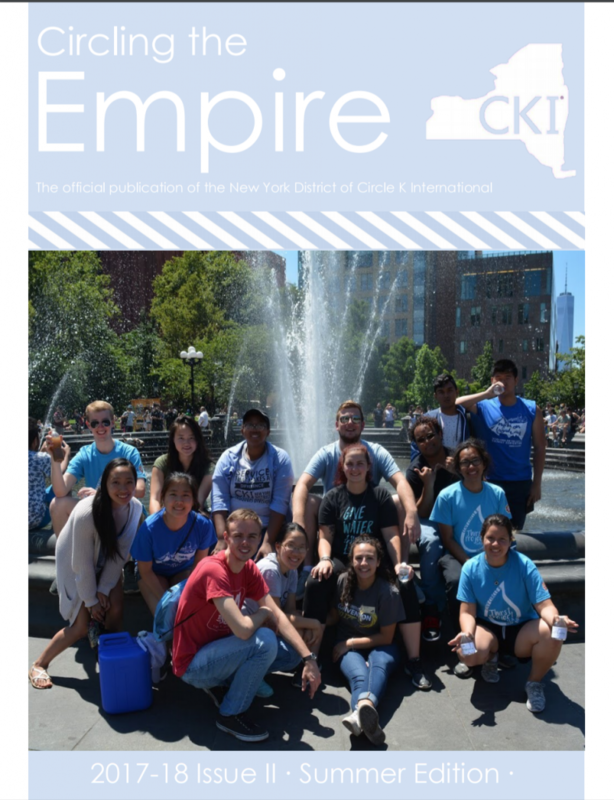 This is a wonderful opportunity to get involved on the International level, make new friends, and have a lasting impact on the CKIx19 experience. There are more than 850 flights on over 35 airlines to and from the Orlando airport each day. For registered guests staying at our hotel, enjoy complimentary transportation and luggage delivery to and from Orlando International Airport using the Disney’s Magical Express®. If you’re driving to Orlando, your final destination is Disney’s Contemporary Resort. Disney’s Contemporary Resort– The official CKIx hotel, where all the events will be held. Room rate US$159 per night plus taxes and fees. Hotel rooms can be booked here. We are excited to offer free parking to attendees staying at the official CKIx convention hotel. Standard self-parking is available to for guests not staying at the hotel for a fee of $24 per day. Please visit circlek.org/ckix for more info. 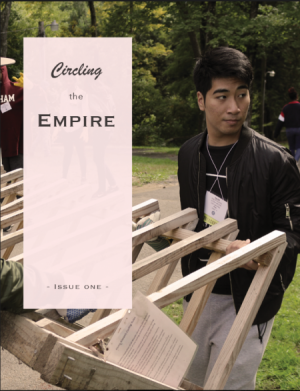 The first issue of the fall edition of Circle the Empire (CTE) is now available for you to read! Check out oustanding members talk about their favorite part of service, Service Spotlights, and a DLSSP review! 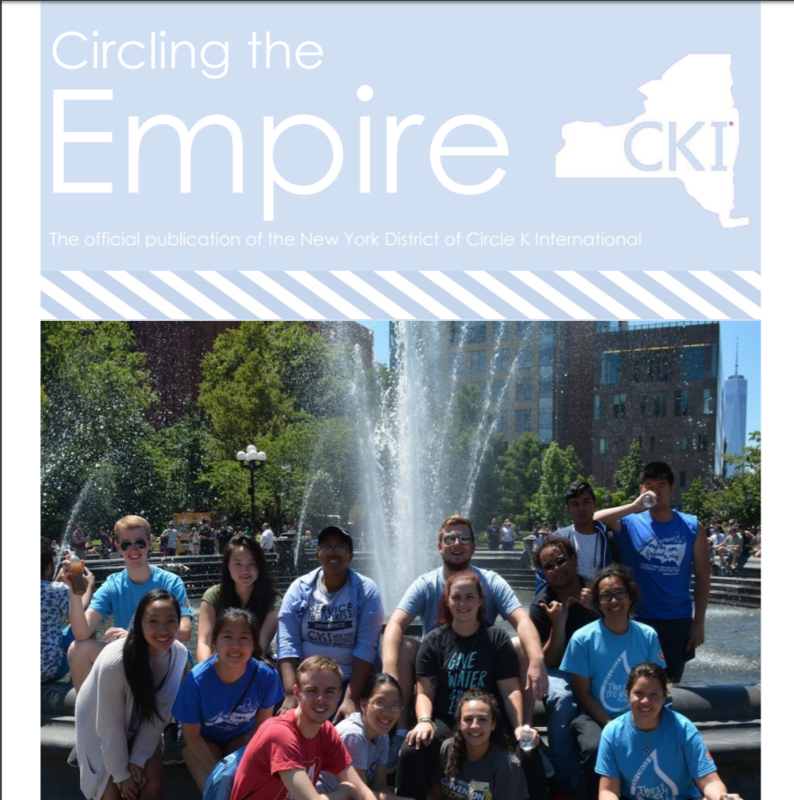 The second issue, summer edition of Circling the Empire (CTE) is available for your reading pleasure! Read about the Governor and District Projects, Service Spotlights, Member of the Month and more! Read this edition on Issuu here.